This free tool provides a large amount of optimization options for your computer's performance. In total 470 different changes to improve how your PC works. 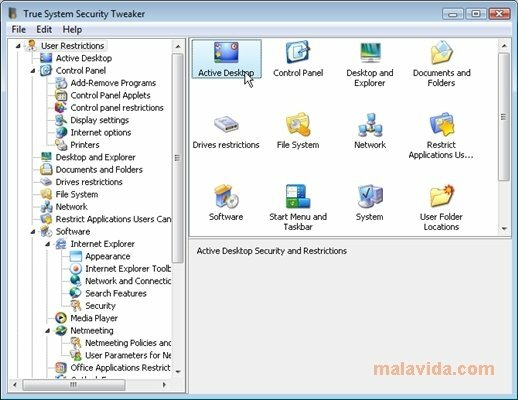 True System Security Tweaker has various panels in which to complete the modifications. 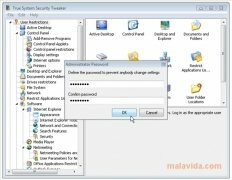 You will be able to modify the desktop, the network functions, the access passwords, the printing options.. All the functions available on your computer can be controlled by means of True System Security Tweaker. 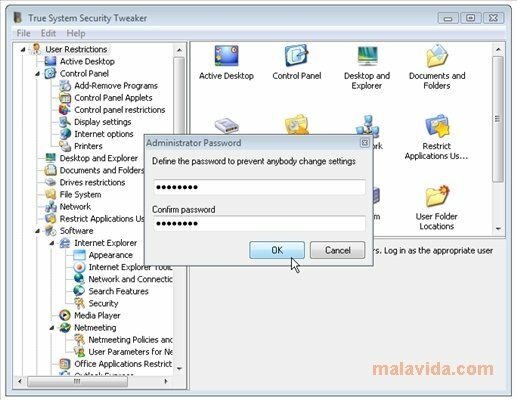 You can limit the access to the application by setting a password and undo/redo the changes it has performed. The application has a very simple and functional design. And it is simple and comfortable to apply any change to the configuration. What's more, its small size makes it ideal to take with you on a pendrive or on any other storage device. This makes it easy to move and use on other computers. 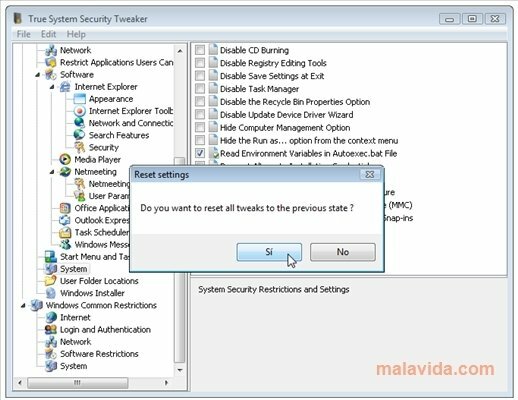 Discover the numerous functions of True System Security Tweaker for your PC. 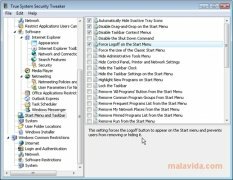 Download True System Security Tweaker FOR free and maintain your computer spotless.